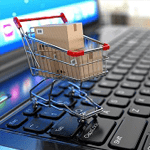 If you work in the e-commerce business you might have noticed that modern websites are a real interactive wonder with dynamic catalogs, personalized touch and absolute focus on the consumers and their needs. However, it is still a challenge to convert casual website visitors into customers who want to buy from you. And whether customers will pay for your products depends not just on the quality of the products but also on the way the information about these products is presented and communication is built. In this article we are revealing the secrets on how to unlock with the help of SugarCRM the full potential of your existing customers, that will lead to more returning purchases. Let’s take a more precise look at every point and find out how SugarCRM implementation helps to make your customers more loyal. Now, when your customer is better informed than ever and wants to be treated individually every time he visits your online store, – what do you do to exceed their expectations? Or you are a company with 200 employees in sales, customer service and finance, and each of them is willing to access the most relevant and updated customer information, – how do you ensure it? The answer is to have integrated multiple systems into a unified platform, where in the very heart of it is your CRM system with all the profile and behavioral data. Thus, you can access the information you need the most in easy and fast way which then can be applied to upsell and cross-sell campaigns. It is especially critical for the managers who require broad view of the customer activity and sales performance. Just imagine, that you can encourage your shopper to buy something similar or a complementary item to something they have already bought, by dialing him directly from you SugarCRM integrated with your corporate telephony system. Moreover, you are able to not just dial his number but also see all the information on account preferences, product search history, and items previously purchased or added to cart by this particular buyer. PIGU Company, the largest e-commerce trader in Lithuania, Latvia and Estonia, reaps the benefits of such SugarCRM implementation. They faced the problem when they couldn’t manage service requests that were coming in from their Customers. Due to the multiple systems in the Company there was no centralized location where these requests could be structured and processed. Gain control. Now PIGU is aware of the average request processing time, which wasn’t available in the past. Moreover, the management know when and where difficulties with the case processing in the various departments occur. And the last but not least, SugarCRM implementation workforce load became transparent and easily manipulated. Let’s consider the situation. You have a catalogue of 600 basic products with 5,000 variations, and you serve over 10,000 consumers in some specific region. Well, you have to go to great lengths to turn these consumers into loyal customers, combining your product offerings with service quality. Of course you want to have a quick access to the information about customers and their orders so that your managers can respond accurately, efficiently and on time. SugarCRM integration with your shopping cart will allow you to respond quickly to customers’ orders, and provide them with product details. Another interesting SugarCRM feature that will improve your consumer-to-cart journey is SugarCRM workflow functionality which will help you manage every little detail of order placement process and follow-up activities. For example, if someone abandons the cart – you can send them an email notification, offering your help with an incomplete transaction. You can define rules to perform a welcome email upon the order completion, thank you email upon the delivery or trigger alerts and reports to keep your marketing, sales, finances and customer service informed about an indicated defected product. Another example: using workflow, CRM system can alert the area manager about large orders once they appear inside CRM system. According to a brand loyalty survey by Clickfox, great customer service is one of the biggest reasons customers stay loyal to a brand. SugarCRM can help you optimize your service quality, solving as many customer queries and issues as possible. You can enhance your customers’ online purchase process, by logging all their calls and requests inside CRM system and immediately transferring the most important to a service agent. Just imagine how delighted your customers may be, receiving a courtesy phone call or email, completing an order in your online store for the first time. For example, C2B states that its team of two customer relationship managers can handle from 30 to 40 requests per day owing to the implemented SugarCRM-IP telephony integration. Find out more in this case study: https://sugarcrm-online.s3.amazonaws.com/case-studies-2013/EN/C2B_CS_EN.pdf. Here are some other actionable strategies you can use to delight your customers with an outstanding service. You can send out personalized emails to your customers on their special days and occasions like birthdays, or when the customer makes 100 purchases (or the 100th purchase) from your store along with a special discount or gift so they come back to you again and again. You can also notify your customers via the SMS that if they spend a few more dollars that day, they will win a prize from you, associated with their favorites. Another thing that can help you excel at satisfying your customers’ needs lies in promoting bonuses, for example: make a purchase for $200 this month, and get a $50 off for the next month. All this can be tracked in your SugarCRM. If you are looking for a partner to assist you with your SugarCRM implementation or customization, come to us, and we will ensure that you provide a definite competitive advantage to your customers.